Plan: Here we create the plan to revise business process components to improve results. Do: Implement the new process or processes. This is often done on a very small scale (remember it’s small, continuous, incremental improvement we’re after). Act: Analyse differences in expected improvements, actual improvements, and previous state. Based on this, determine where your next improvements will be made. Here we also look at the mistakes made in executing the Deming Cycle and take action so we don’t make those same mistakes next time. The real power of the Deming Cycle is its simplicity. We make small improvements repeatedly, each time with increased knowledge of the system, and each time getting one step closer to the perfect state. 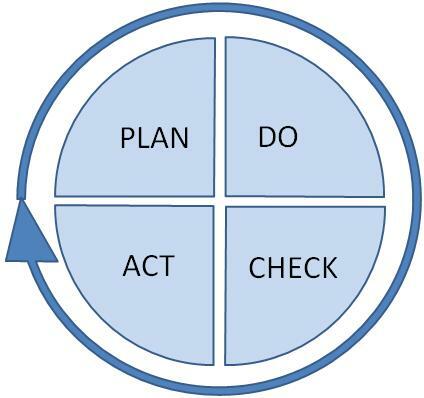 Note that although the PDCA cycle is commonly referred to as The Deming Cycle, Deming himself always referred to the cycle as the “Shewhart Cycle”. Sprint Planning in SCRUM is analogous to the Plan step of the Deming Cycle. The Daily Scrum Meeting is analogous to the Do step of the Deming Cycle. Here we are implementing the plan and making adjustments as we go. The Sprint Retrospective is analogous to the Check and Act steps of the Deming Cycle. It is where we analyse what we’ve done and learn from our mistakes. I hope this article has given you a good understanding of The Deming Cycle, and given you some thoughts as to how you can apply it to your projects and programs. 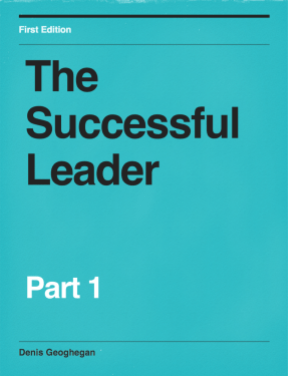 The power of the Deming Cycle lies in its simplicity. Every journey starts with a single step. By frequently making small improvements over time we can achieve massive improvements.